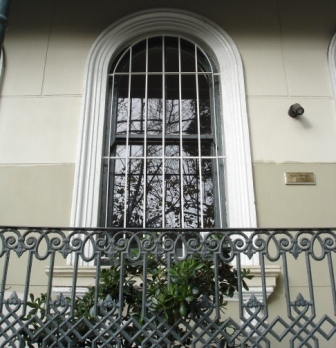 No doubt some of the things you love about your Colonial, Victorian or Federation terrace home is its proximity to the CBD, shops, cafes, bars etc and the irreplaceable charm of its architecture. However, in these areas there is often traffic noise and neighbourhood noise which can affect your way of life. To address this, Sound Barrier Systems have developed a range of acoustically rated soundproof windows and soundproof doors that not only dramatically reduce the noise in your home but also complement the architecture of the building. 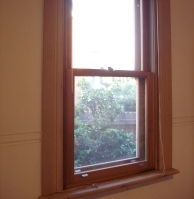 We have a range of cedar soundproof windows and door joinery that is custom made to replicate the appearance of the original windows and doors and are double glazed and acoustically sealed to provide the same level of acoustic rating as a double brick wall. You love your terrace but the noise out on the street is a frustrating disturbance. Soundproof doors from Sound Barrier retain the beauty of your terrace but cut the noise by more than 75%. 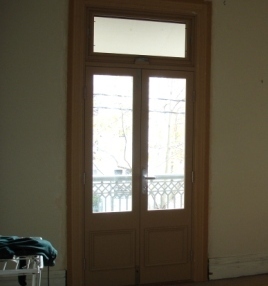 The soundproof doors from Sound Barrier match exactly the originals but are have the highest acoustic rating of any doors on the market. You retain the style of your terrace but remove the street noise.